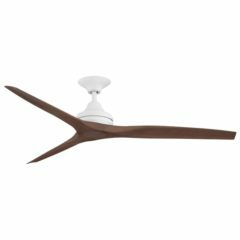 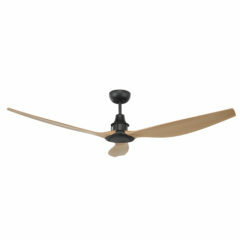 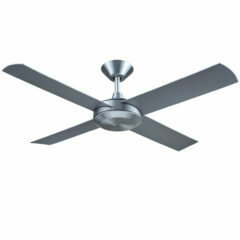 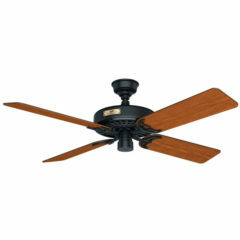 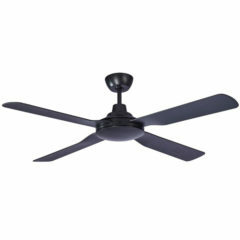 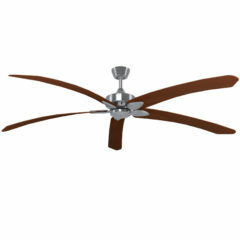 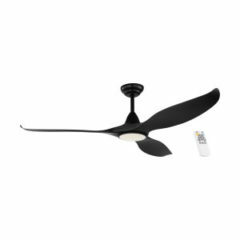 The Ventair Havana ceiling fan has a 52″ blade span and a tropical style. 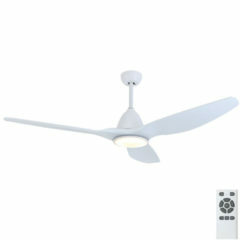 It is suitable for indoor and outdoor undercover use and has a powerful 95W motor. 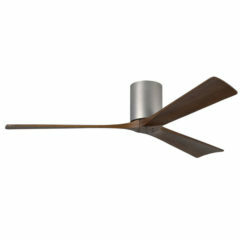 It is available in two colours; White and Bronze (see separate listing for the white model). 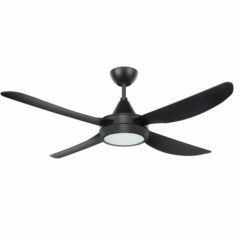 The Martec Coolmaster Imperial (Model number MIF1243W) is the perfect addition to your decor with its simplistic design and powerful yet efficient 60W motor. 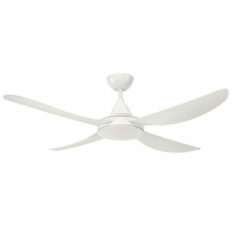 The Imperial features 4 ABS blades and is fully reversible for summer and winter use. 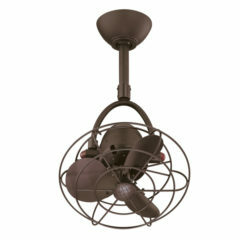 It features a 3 step dimmable LED light with a switchable light temperature (3000K / 4000K / 5000K). 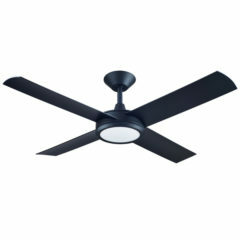 ABS construction ensures the fan is Suitable for indoor or outdoor undercover use. 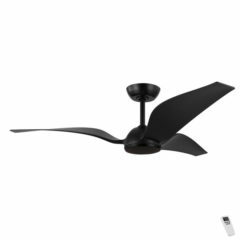 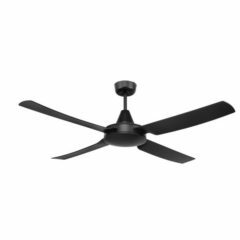 The Coolmaster Discovery (model MDF124M) ceiling fan is a sleek and modern ceiling fan with a powerful yet efficient 60W motor. 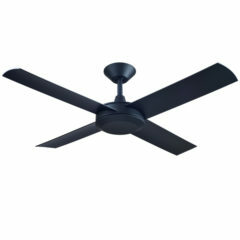 The Discovery features durable ABS blades and is fully reversible for summer and winter use. 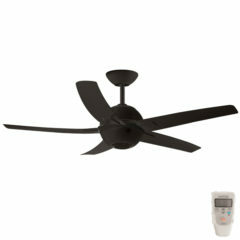 Suitable for both indoor and outdoor undercover installation. 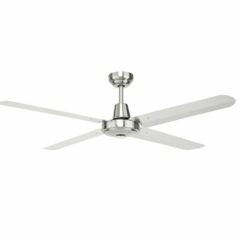 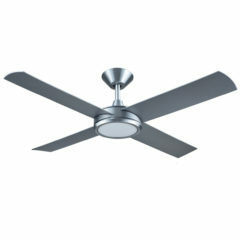 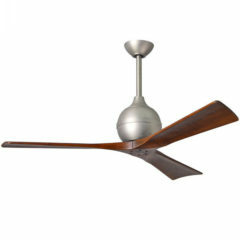 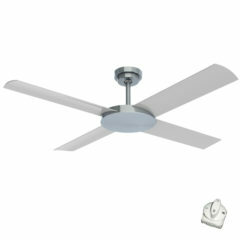 The Atrium ceiling fan is a 4 blade, 316 stainless steel fan from Brilliant. 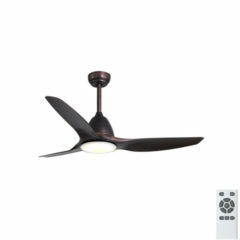 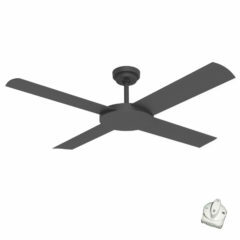 It’s stainless steel construction includes the body, canopy and blades making it a great tropically rated ceiling fan option. 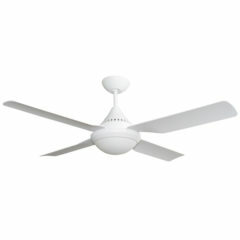 Comes with a 3 speed wall control and is reversible for summer and winter use. 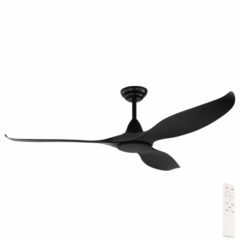 The Symphony Ceiling fan is an exciting new addition to the Ventair range with an inbuilt Bluetooth speaker. 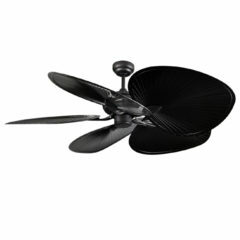 Stream music from your phone, tablet or computer and allow this fan to turn your living or covered outdoor space into an entertaining area. 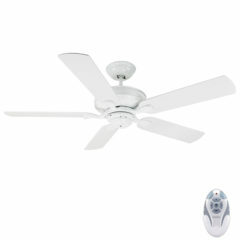 The Bluetooth connectivity has a working range of up to ten metres and this fan also comes with a 4 speed LCD remote.